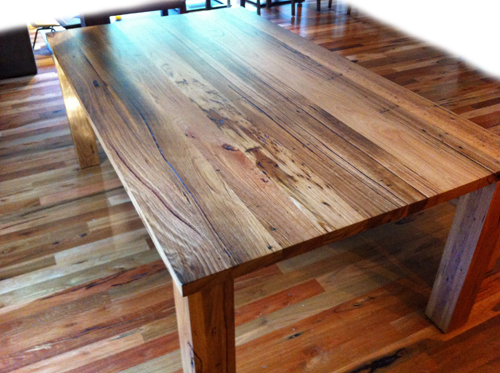 This dining table is made from recycled Messmate. 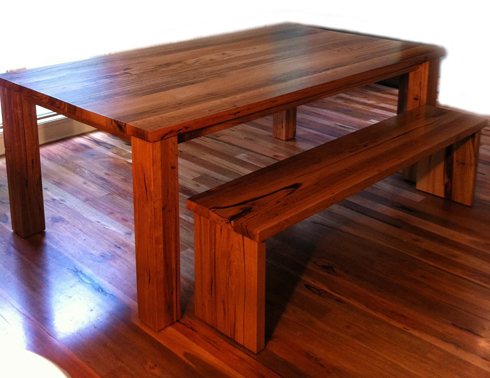 As with all furniture made of this style, the customer approved the appearance during construction to ensure satisfaction. 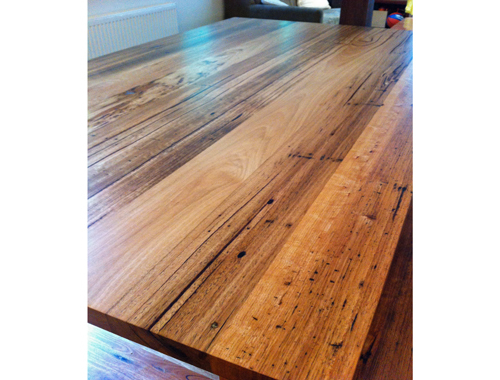 All defects have been resin filled to ensure a good stable surface, the timber was moisture tested and the top features button style fixing to ensure any timber movement does not affect the surface or frame. 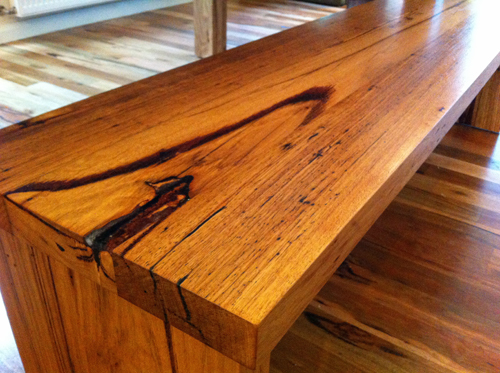 To compliment its appearance, it has been finished with Osmo oil for durability while still keeping with its style.